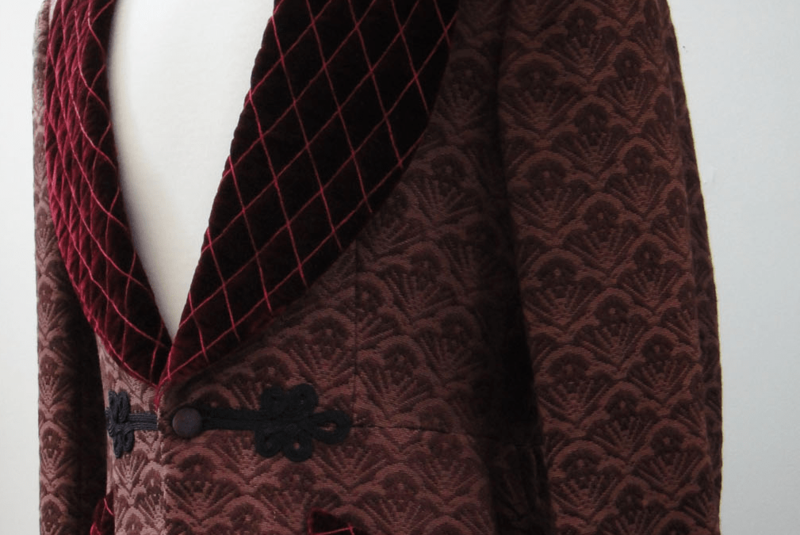 For many years the velvet smoking jacket was a garment that seemed to have been sunk by its unfortunate history. Weighed down by associations with the rococo excesses of Seventies tailoring – think Austin Powers wearing a baby-blue ruffle-fronted shirt underneath a boxy claret-coloured velvet jacket covered in frogging – and it was hard to plot the smoking jacket’s route back into the affections of stylish guys. Invented for men to wear over their clothes when they smoked cigars, because the velvet is said to insulate the other garments from the aroma of tobacco, smoking jackets were specifically created to be worn while men relaxed and indulged themselves. That alone is a good reason to revive them, as is their ability to leave a man looking smart enough for any occasion, while suggesting that he’s serious about life’s pleasures. The velvet jacket announces that a man has dressed for himself, whether he’s off to a corporate do in the subterranean Ballroom on Park Lane, or off to New Year’s Eve dinner party. Unlike a dinner jacket it also works with an open neck shirt, jeans and loafers, and this latter combination is particularly useful for parties when it’s hard to guess the dress code.